Lock in a great price for Himalayan Deurali Resort – rated 9 by recent guests! 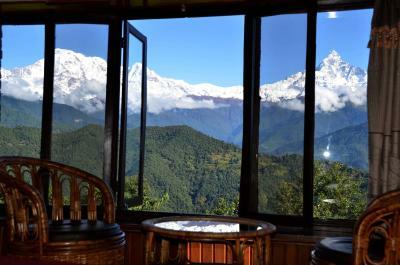 The views of the Annapurna range of the Himalayas was outstanding--and from many areas at the resort, including our big windows of our room, and the shared balcony just outside our door! Fabulous staff--especially Raj, who helped us in many ways, and was a great waiter--very attentive! loved this place. A beautiful setting and away from the mass of tourists. Rooms big & beautiful. We loved the view from our terrace and the resort's dog. Very friendly and playful. The place is stunning and the owner + the entire team outstanding. 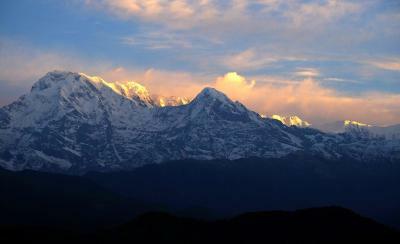 I can view the Annapurna range of mountains right from my porch. And the sunrise at this place is simply amazing. 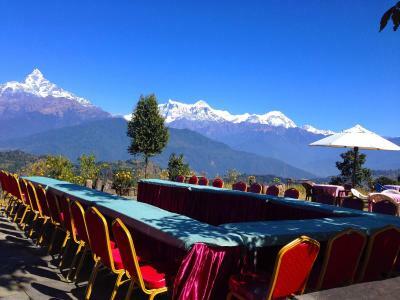 Himalayan Deurali Resort This rating is a reflection of how the property compares to the industry standard when it comes to price, facilities and services available. It's based on a self-evaluation by the property. Use this rating to help choose your stay! Combining modern and characteristically Nepali architecture, this boutique property offers a cool and relaxed environment accompanied with splendid views of the Himalayan mountains. It houses a hilltop restaurant serving local delights and a bar. 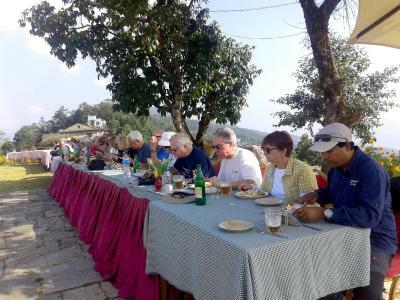 Himalayan Deurali Resort is 3.1 mi from Sarangkot and 9.3 mi from Seti River Gorge. 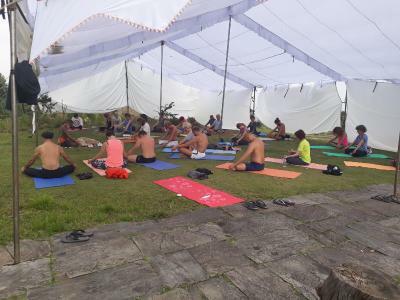 It is 9.3 mi from Bagar Bus Stand, 13 mi from Pokhara Bus Station and about 14 mi from Pokhara Airport. Fitted with a balcony offering hill views, rooms feature a flat-screen TV, a wardrobe and an private bathroom with bath and shower facilities, toiletries, and a hairdryer. Room service is provided. Guests can use the barbecue facilities, or the meeting/banqueting space. Travel arrangements can be made at the tour desk. Staff at the reception can assist with luggage storage, car rental and laundry services. Wi-Fi is accessible in its business center at no charge. 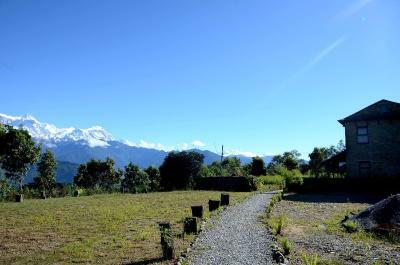 This property also has one of the top-rated locations in Pokhara! Guests are happier about it compared to other properties in the area. 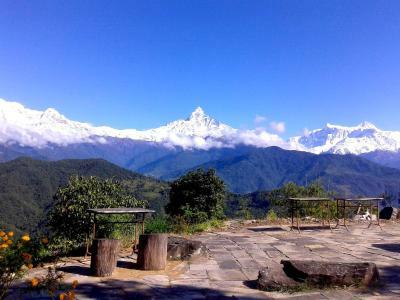 This property is also rated for the best value in Pokhara! Guests are getting more for their money when compared to other properties in this city. When would you like to stay at Himalayan Deurali Resort? Fitted with a balcony offering hill views, rooms feature a flat-screen TV, a wardrobe and an private bathroom with bath and shower facilities, toiletries, and a hairdryer. These rooms are cooled with a fan and offer 2 single beds. These larger rooms are air-conditioned and come with a double bed. It offers 2-way airport transfer. 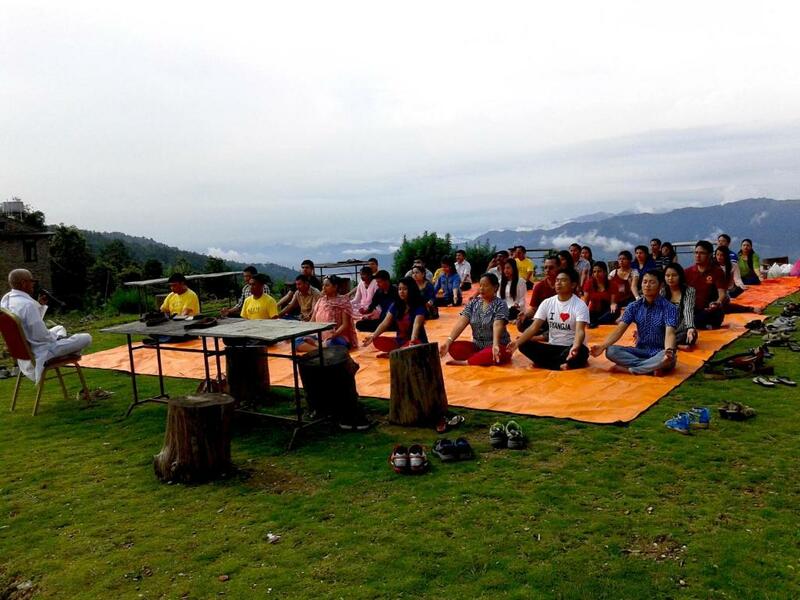 House Rules Himalayan Deurali Resort takes special requests – add in the next step! One additional older child or adult is charged USD 25 per person per night in an extra bed. Himalayan Deurali Resort accepts these cards and reserves the right to temporarily hold an amount prior to arrival. 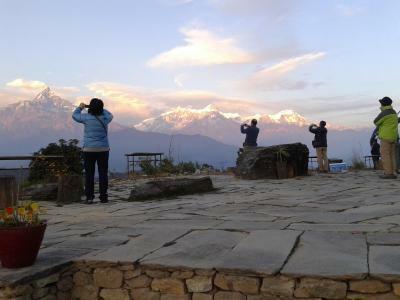 The new construction will provide more rooms, but take away from the foreground when viewing the gorgeous Himalayas from one of the prime viewing and eating areas. 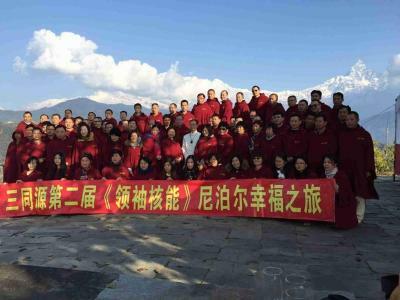 It does not obstruct the view of the Himalayas themselves, though. Our international credit card did not work, we were assured it would be. Be prepared to bring in cash (either in USD or the local currency). It is quite pricey, must agree. Thus when our room lights did not work on the first night, I expected a full resolution at that moment. They did though after we insisted. The view is simply breathtaking! 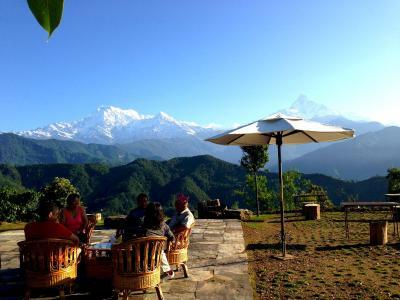 Watching the sunset, waiting for the sun to rise, in the full glory of Annapurna mountain range and Fishtail, were two perfect reasons why staying in this resort is worth the while. The road trip to reach Deurali was long and winding, seems to be endless hairpin turns along narrow roads. But once you settle in, the environment takes you and would not want to leave. 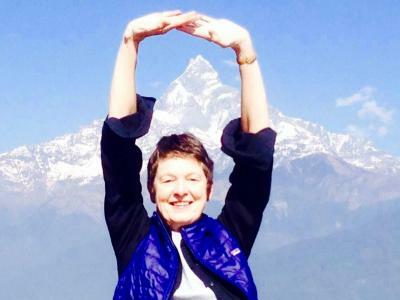 Yoga at 6:30am facing the majestic Himalayan mountain was another heavenly experience. We enjoyed the company of Kavindra (the yoga instructor and trek guide), Roshan and Roman, two young men who took care of serving our meals and Sri, the reception manager and Mina, the chaming all around lady. We also had a chance to meet the owner. They took turns explaining the local surroundings and customs of the area. Food was delicious -- quite an extensive menu! Wifi was pretty good too, specially at the dining hall. The property was ongoing expansion, it was busy with trucks coming in and out, clearing the grounds, making way for additional buildings. We just hope it does not get too big for it to be commercialized and thus spoil its natural rustic element and beauty. Namaste. Need 2-3 more hangers in wardrobe to hang stuff!! Staffs could be more efficient in particular to room service. It took an hour for a green salad but it came just cucumber. Well I was a bit confused about the bathroom setting cos the shower head was not fixed on the wall but rather sitting right at the rim of the bathtub. Ended up holding the shower head the whole time..But the really welcoming team has more than compensated for this inconvenience.